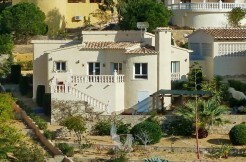 Are you thinking about buying a house in Spain, in Moraira or in Costa Blanca? This is an important decision, so usually you will have many doubts, especially when it is your first home. Study your budget to buy the house. Make sure you can afford the property before making an offer. You may need to buy the house with a mortgage, so you must accomplish certain requirements. Visit your bank to know them and know how much credit you have. You should consider your savings and the possible sale of some property. Note that in addition to the price of housing, there are several expenses: notary, registration, taxes, possible reform. price: the price that has fallen is not necessarily the best price. Study your budget and your needs. perfection: house type, furniture and decoration, if needed a reform, quality of materials, distribution, facilities as parking, garden, land, bedrooms, office, kitchen …. In short, study your needs and priorities, and compare several similar properties. It is essential that you let advice from a real estate agent you trust, who knows the prices in the area and will know advise. Create a list of possible interesting houses on budget and needs. Sure you have a favorite house. Before taking any decision, check if the house has deficiencies that may cause problems in the future: cracks, poor electrical connections, drainage and sewerage, heating …. Some of these defects (foundations, beams, slabs, ..) can be present in the medium term and it is advisable to clarify the responsibilities in a contract. 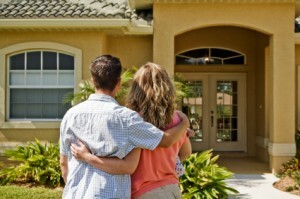 Many of these problems can go unnoticed if you are buying your first home. Before you buy the house, make sure you know the taxes you must pay for the purchase of the house, which vary according to the location and type of residence, and notary and registration fees. Know all the possible costs (community, pool, security, housekeeping, …) and council tax (garbage collection, property taxes). If the home needs a reform, you have to invest in it. Calculate the cost of conditioning the house to your needs. Look to the future and think about energy saving, lighting and heating. You may be interested to make a work of thermal insulation, ventilation and air conditioning, seeking energy efficiency. Make sure the home is free of charge, by requesting a simple note. The real estate agent can help you in this process. In many communities there are fairly strict neighbors rules and it is important to know them. Not only you have to like the house, but the lifestyle that offers the community. Ask for municipal regulations, future development projects in the area and planning legislation. Do not buy on impulse. Although you may miss an opportunity to buy, do not rush in choosing a home that does not convince you at all. Once you know that it is the house of your dreams, make a bid for it. Study if you can can reduce the price. Once again, a real estate agent will be your best friend because he know the seller’s situation, the time the house takes on the market, how many bids have been made and how many bids have been rejected. Of course, make a realistic and justified offer. If the offer is accepted, make sure you really are ready to buy the house, and you can go ahead with the proposal and close the deal. If there is an understanding, prepare all the paperwork (mortgage loan, …) and close the deal quickly so as not to delay the process. Before signing any purchase agreement, resolve all your doubts. Be advised by a real estate agent you trust. The honest real estate agencies will clarify any questions you might have. The contract should state the payment dates, the description of the property, the final price and the deposit. Before buying the house, ask for opinion and advice to family and friends, to have different points of view. But do not forget that the purchase decision is yours.